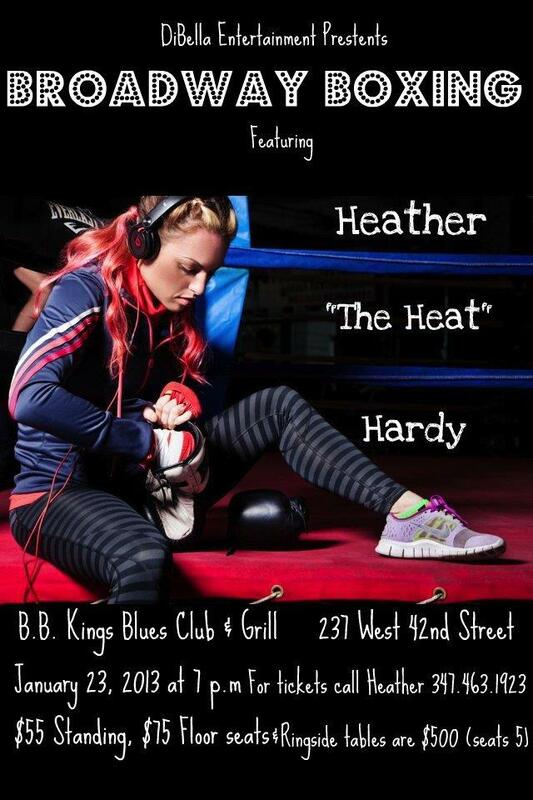 Heather Hardy Interview ahead of her January 23rd Fight at BB Kings! Heather Hardy makes it a perfect 4-0 after defeating Canada’s own Peggy Maerz in a hard fought battle. Hardy won by unanimous decision: 40-36, 39-37, 39-37. Maerz will still fight for the Canadian flyweight title in April. 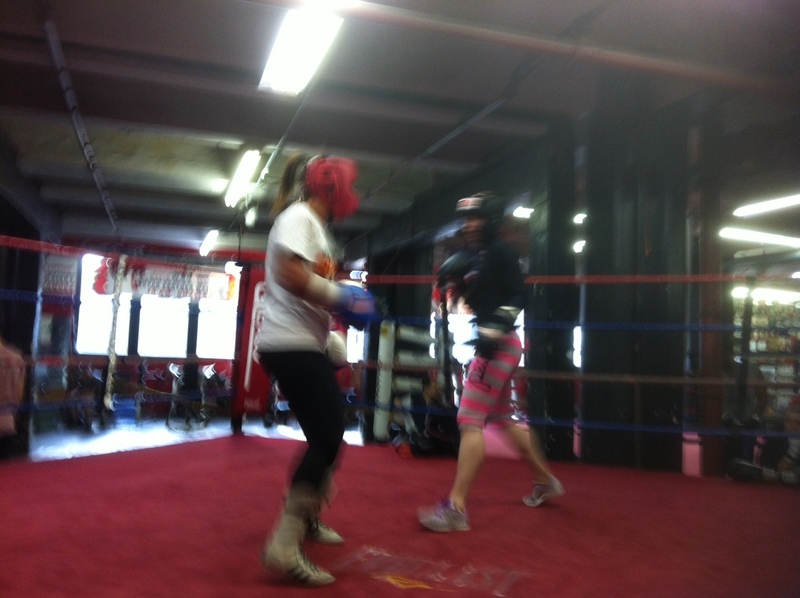 Heather “The Heat” Hardy (3-0) has been hard at work training at Gleason’s Gym. 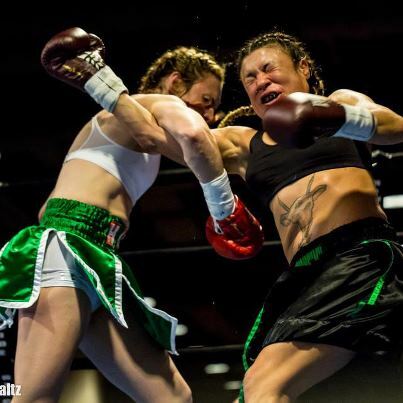 She has an upcoming fight against Canadian boxer Peggy Maerz (2-2-1) on January 23, 2013 at B. B. Kings Blues Club & Grill in New York. Promoted by DiBella Entertainment as part of the Broadway Boxing series, Hardy will box Maerz in a four-rounder. Tickets for her upcoming bout are available from Gleason’s Gym 718-797-2872 or from Nelly Spillanes 212-792-9672. Also on the card are Yuri Foreman (28-2, 8-KOs) making his comeback appearance against Brandon Baue (12-8, 10-KOs) and Delen Parsely (9-0, 2 KOs) fighting Tyrone Selders (8-4, 6-KOs). Recently, Hardy agreed to an interview with Girlboxing about her upcoming fight. Q1. Since turning pro in August you’ve racked up an impressive 3-0 record. In Peggy Maerz you’re fighting a boxer with a 2-2-1 record out of Canada. Maerz is known for her long reach and quick jabs. She also has had an impressive amateur career in Western Canada. What do you hope to show the boxing world in choosing Maerz as your next opponent. I want to show that I’m ready, willing, and able to fight anyone that’s put in front of me. I work hard, I train hard and I fight even harder. Q2. You’ve put a lot on the line to turn pro having made your mark on the amateur world with you Golden Gloves wins and appearance in the USA Nationals. 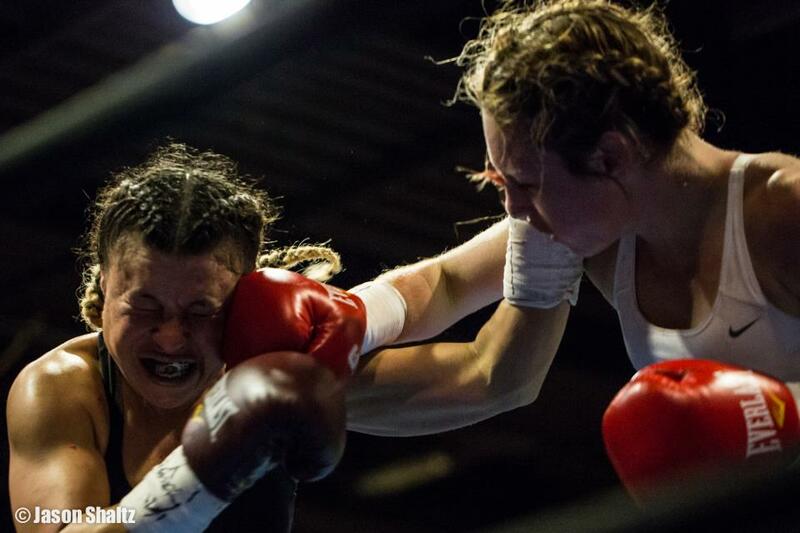 What motivated you to turn professional when the odds are so tough against women in the sport — even after the great success of the debut of women’s boxing at the London Games in 2012? I have faith, that one day the girls will get the same respect (and PAY) as the boys. You can’t put your heart and soul into something day in and day out and not expect to make a difference. I want to be the difference, and believe that I have the talent and work ethic to do so. Q3. Aside from boxing, you’re also a talented trainer with a wide range of clients with varying boxing abilities. What has your work as a trainer and mentor taught you about fighting and being successful in the ring? It has definitely added to my success. I live boxing! I’m in the gym 15 hours a day! I see my girls walking the same path I did and I get to watch them make all the same mistakes. It’s so rewarding to be able to pass my passion onto those who share it. I love what I do. Q4. In a recent interview, you described boxing as more “training on the mind.” Can you elaborate on how you prepare yourself mentally for a fight and for coping with the unexpected during a tense professional bout? I know how to fight, so when I train it’s a matter of correcting bad habits and fixing parts of my game that aren’t quite perfect. Fine tuning, aligning my punches, stepping properly, etc. My coach always says there are only four punches, so learn how to throw each one perfect every time. You can only be the best when you make no mistakes. Q5. You’ve made it no secret that you want to be a world champion. Given the crowded field in the bantamweight division, what is your strategy for gaining a title shot at one of the more prestigious world championship belts? Keep winning! My plan is to stay focused and keep winning. Keep training and perfecting my game. Keep myself challenged. I’m ready for the road ahead of me. I’ve been on an uphill climb since the day I walked into this gym, since I started so late at 28. Q6. You turned pro days after Claressa Shields won gold in the Olympics, but considered turning pro long before the Olympics. Do you see any differences in how promoters approach booking and promoting female boxing matches or does it still seem more of the same? Unfortunately, I do not see that it has made a difference in the professional sense. I am still making considerably less than my male counterparts and doing the exact same job. Q7. 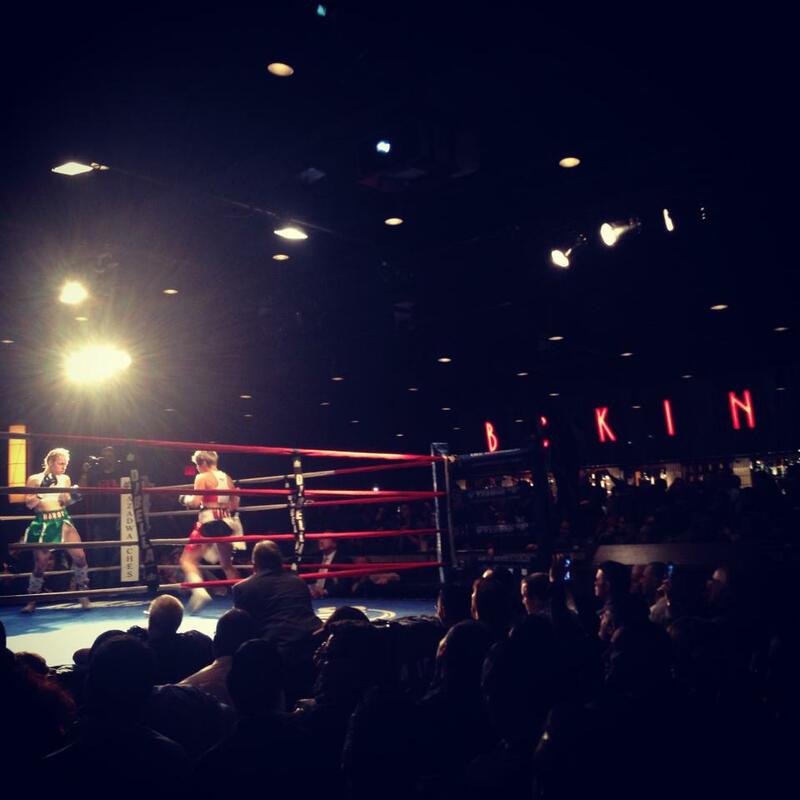 Finally, what should we expect to see in your fight against Peggy Maerz on January 23rd at BB Kings? This will be a fight from bell to bell. « An interview with Shelito Vincent, to fight on 1/19/2013!